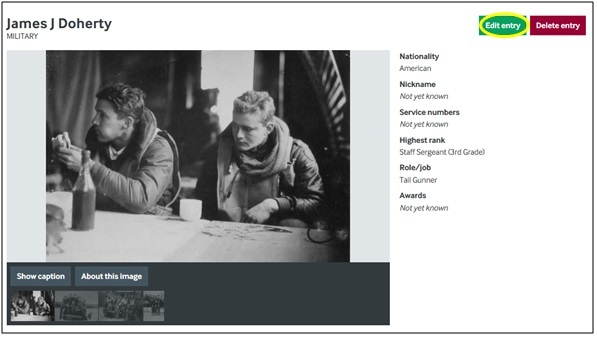 When you view an entry on the website, the very first photograph which was added to, or associated with, that page will automatically be the first image which is shown. This image will also be the thumbnail which is shown across the website. However, it is possible to choose a ‘key image’ which will appear as the first image on a page, regardless of any other images. To do this, click ‘edit entry’ and then select the ‘media’ tab. 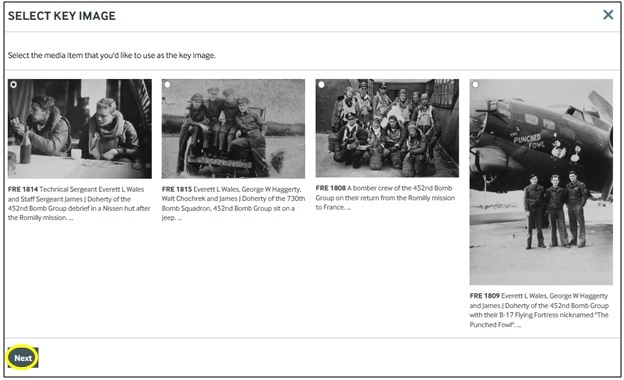 Click ‘choose key image’ to select one of the images which has previously been associated with that page and then click ‘next’. Now that you have selected a key image, you are also able to select a certain portion of the image to appear as the thumbnail for that page. This is especially useful if you have a photograph which shows several people and want to focus on one individual. To do this, click and drag a box around the portion of the image which you want to appear as the entry’s thumbnail and click ‘save’. This won’t permanently crop the image, the original photograph will remain unchanged on the website entry, but the thumbnail for that page will change to show only the section you have selected. If you do not want to select a specific portion then just click ‘save’. 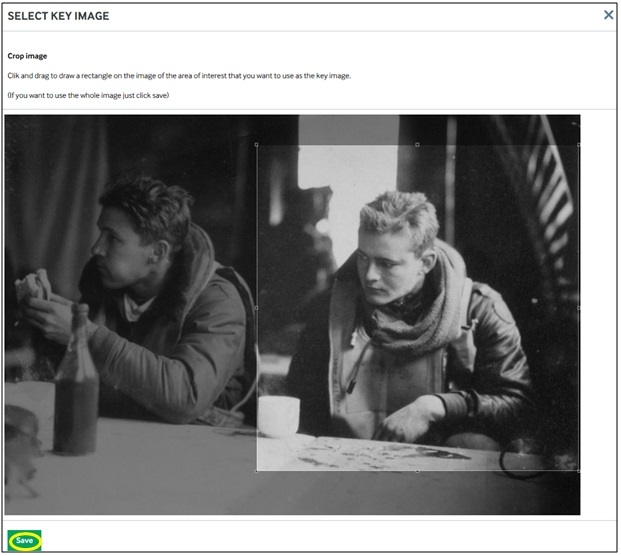 You can now enter a source message such as “Key image chosen” and click ‘save’. The portion which you selected will now appear as the page thumbnail in lists on the website and the image you have chosen will always be shown first on that page.